You might have read about a new piece of legislation called the Fitness for Habitation Act. Stemming from a private members’ bill introduced by Labour MP Karen Buck, it’s aimed at improving the standard of housing in the rented sector – which can only be a good thing. So as a private landlord, what do you need to do about it, and what might make a property ‘unfit for habitation’? What is the Fitness for Habitation Act 2018? The Fitness for Habitation Act comes into being on 20 March 2019. It’s really just a set of amendments to the Landlord and Tenant Act 1985, clarifying a landlord’s maintenance responsibilities and making it easier for tenants to force them to make improvements. 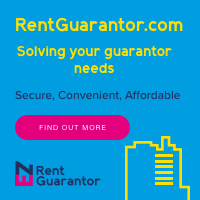 In a nutshell, it’s a landlord’s explicit duty to ensure that the property they’re renting out is fit for human habitation before the tenants move in, and that it remains so for the duration of the tenancy. Significantly, fitness for habitation applies not just to the bit of the property that the tenants are renting, but also to any common areas of the building too. So what makes a place fit for human habitation? The last of these is a new addition for March 2019, and where the other items are fairly self-explanatory, you have to dig a little bit deeper to find what a ‘prescribed hazard’ means. What is a ‘prescribed hazard’? Follow the legislation wormhole via Section 2 of the Housing Act 2004, and you discover that ‘prescribed hazards’ are those that fall under the Housing Health and Safety Rating System (HHSRS). This is a hugely complicated assessment tool designed for environmental health professionals, in which various kinds of hazard are categorised by severity. There are lots of different hazards mentioned in the regulations, from mould and asbestos to overcrowding and inadequate lighting. In the simplest terms, for each hazard, the likelihood of anyone being harmed by it is multiplied against the severity of the harm that might occur. The hazard ends up with a letter rating between A and J, and anything rated A to C is classed as a severe ‘category 1’ hazard, while less dangerous hazards are ‘category 2’. If this sounds a bit baffling, it’s because it is. The HHSRS was never meant to be used by landlords, and it takes an experienced environmental health professional to assess hazards correctly. All the same, a little bit of common sense will get you a long way, and the Department for Communities and Local Government has produced a helpful guide to carrying out your own informal assessments. Using this as a framework for your own inspections will go a long way towards ensuring your property is safe for tenants to live in. What isn’t included among the landlord’s responsibilities? As landlord, some matters are beyond your control. In general, you don’t have to maintain anything which belongs to the tenant, and you also aren’t expected to sort out issues which are being caused by the tenant not looking after the property reasonably – or doing something they’re not supposed to. Of course, where each party’s responsibilities begin and end is the source of many a dispute – for example, you can bet that if there’s mould in a room, both the tenant and the landlord will swear it’s the other person’s fault for either not providing sufficient ventilation or not using it. The best thing you can really do in these situations is get everything assessed by certified and reputable contractors, and follow their recommendations. Less contentiously, you can’t fix something you don’t know about, and if an issue develops that threatens to make the property unfit for human habitation then the tenant needs to tell you about it before you can take action. What else is important when it comes to fitness for habitation? Even if you do know an issue exists, you can’t fix it if you can’t get into the property, and the law recognises this with an implied right to maintenance access. As a landlord, you’re required to make maintenance visits at reasonable times of day, and to give your tenants at least 24 hours’ notice, but if they still won’t let you or your contractors in then you’ll need to initiate legal proceedings to gain access or even evict the tenant. Before you start to get too worried about fitness for habitation, consider that the new act has primarily been introduced to make it easier to hold rogue landlords to account. So long as you keep well on top of your maintenance responsibilities and do your best to resolve any issues your tenants report as quickly as possible, you should have nothing to fear from it.